Bulldogs de Hamilton in Montreal or Quebec City? Inform me about the next events for Bulldogs de Hamilton. Enroll yourself to our priority waiting list for Bulldogs de Hamilton to be alerted when new tickets are available. Filling this form doesn't engage you to any purchase. 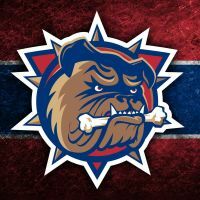 The Hamilton Bulldogs will face the Toronto Marlies at Montreal’s Bell Centre on Sunday, March 15th 2015 at 13h00. Both teams are active in the American Hockey League, the Bulldogs are a part of the Northern Division of the Western Conference. Better known as the farm team of the Montreal Canadiens, the Bulldogs include several of the best hopes of the Montreal team.